He had been subject to a protracted and excruciating life of suffering. He was well aware of the unrelenting persistence of human misery. If anyone had a reason to feel betrayed by God, this man did. At Jesus' command, this man who hasn't walked for 38 years is suddenly on his feet. But this healing brings many questions. Why this man and not another? Why was he suffering in the first place? And what would this man do now he could walk? 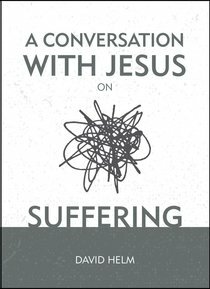 About "A Conversation With Jesus... on Suffering"